Defined as “the biggest infrastructure project of our times” by the European Commission and a priority for the European Union, the Southern Gas Corridor was always going to attract the attention of the World Bank. As part of Turkey‘s Country Partnership Strategy (CPS), the Bank has announced its intention to finance the project through a double loan to Azerbaijan and Turkey. In addition, in June the World Bank’s Azerbaijan office announced possible loan guarantees for the construction of the Trans-Anatolian section of the corridor (TANAP) through the Bank’s Multilateral Investment Guarantee Agency. Tapping gas from the Shaz Deniz II field in Azerbaijan, TANAP stretches for 1,820 km from Georgia to Greece and will cross Turkey. 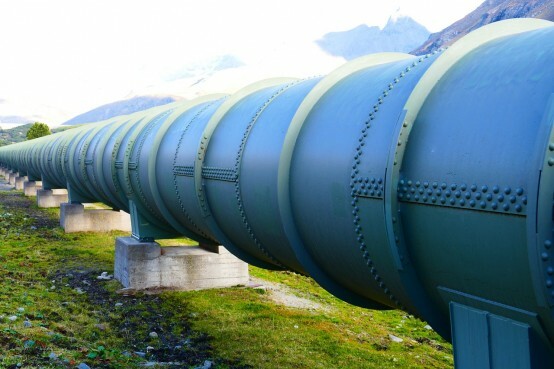 TANAP is expected to bring 16 billion cubic metres of gas per year to Turkey by 2018, subsequently increasing capacity with the construction of the western section of the Southern Gas Corridor, running to Italy through Greece and Albania. It is concerning that the World Bank risks ruining its reputation for a project that will contravene the Bank’s safeguard standards, while harming the environment and supporting controversial regimes. The wide range of risks and consequences associated with the construction of this megapipeline has provoked a heated debate. Concerned about the support that such a controversial project has received from public international financial institutions, civil society across Europe has mobilised to raise awareness among citizens and decision makers about the project‘s environmental and geopolitical implications and to prevent its funding, arguing that the project contradicts with the climate goals that the World Bank and the European public banks committed to in Paris last December. By considering financing the Southern Gas Corridor, yet another mega fossil fuel project, the World Bank is contradicting its commitment to integrate climate risks and opportunities into all of its development work and is disregarding the agreed upon urgency to shift to a different energy model based on renewables and energy efficiency. Furthermore, it means that the Bank is ignoring calls by the scientific community to leave the majority of remaining fossil fuels reserves in the ground. As the world’s leading development finance institution and self-professed advocate of environmental sustainability, it should set an example and stop supporting such emblematic fossil fuel projects. The geopolitical context surrounding the Southern Gas Corridor is just as worrisome. Neither the autocratic regime of Ilham Aliyev in Azerbaijan nor the increasingly repressive rule of Recep Tayyip Erdoğan in Turkey are ideal partners for such an enormous project. Ilham Aliyev, who has ruled the country for decades, has attracted international attention following a severe crackdown on dissent in 2014 that resulted in mass jailings of journalists, intellectuals, human rights activists and lawyers. The unacceptable human rights situation in Azerbaijan has been repeatedly denounced by governments and media worldwide. This led to offical warnings by the European Parliament, the Organisation for Cooperation and Security in Europe and the Council of Europe throughout autumn 2015, all overtly discouraging Europe from directly financing the regime, let alone sealing a historic business deal worth billions of dollars. Moreover, this project would not bring major development improvements to Azerbaijan. Heavily dependent on fossil fuel exports, the Azeri economy has recently faced a deep crisis due to the fall in oil prices which led to the devaluation of the national currency. Instead of diversifying the sources of revenue in Azerbaijan and promoting its sustainable development, the Southern Gas Corridor would exacerbate this dependence, consolidating the hold of the existing ruling elite while bringing little or no benefit to the Azeri people. The World Bank can also not turn a blind eye to the current situation in Turkey. While Erdoğan’s control of the press increasingly limits citizens‘ freedom of speech and opinion, the pipeline would cross Kurdish regions that are currently affected by an escalation of violence following the breakdown of peace talks in July 2015. Civil society organisations have highlighted these concerns and challenged the public financing of the Southern Gas Corridor. It is concerning that the World Bank risks ruining its reputation for a project that will contravene the Bank’s safeguard standards, while harming the environment and supporting controversial regimes. If the Bank does not want to bear this responsibility, it should not be part of the Southern Gas Corridor deal.